We are having an outdoor Adult Halloween party and the theme is to come in a costume that begins with the letter M. We thought having a good mariachi band play for an hour would be fun? Thi isa private home. Will either be held in living room or basement. Not sure right now but like like authentic costumes. Very informal will not require extensive set up and it is an enclosed space. Group of family and friends and children. Arriving on the music scene in the late 19th century, Mariachi Bands brought an upbeat yet traditional sound to Mexican culture. With a blend of guitars, violins, trumpets, the guitarron, and the vihuela, Mariachi music can truly liven up a party! The upbeat authentic Mexican folk music is the perfect accompaniment for wedding receptions, Cinco de Mayo parties, and so much more. 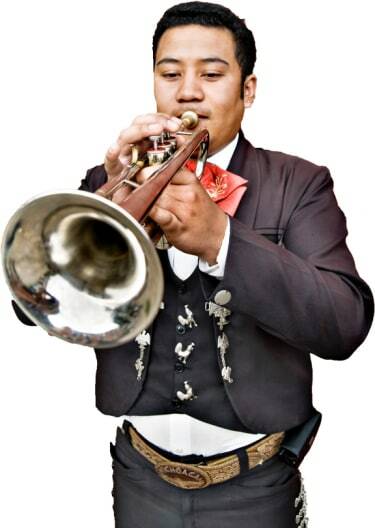 Search for Mariachi Bands in Greenwich, Connecticut above. Please note that these Mariachi Bands may also travel to Byram, Cos Cob, Riverside, Rye Brook, Old Greenwich, Purchase, Rye, East White Plains, West Harrison, North White Plains, Armonk, Darien, Valhalla, Bayville, Hartsdale, Larchmont, Thornwood, Elmsford, Hawthorne, Elmsford, Rowayton, Locust Valley, Mill Neck, Pleasantville, New Canaan, Ardsley, Bedford, Tuckahoe, Irvington, and Chappaqua.